You are supposed to change over your driver’s license to a Louisiana one within 10 days of moving. We haven’t seen that rule enforced, but it is on the books. If you are swapping your license from another state, you can’t do that online. You have to go to a DMV office. Click here for a list of locations. Our friends suggested going outside New Orleans for a new license. Good to know – you can get a new license or car tag anywhere in Louisiana. They aren’t specific to a particular parish. Our friend recommended a quick drive to Westwego, a small town on the West Bank (419 Avenue A, Westwego). It took us less than 30 minutes to get there from Uptown and we were rewarded with no more than 30 minutes of waiting at the DMV. Nice change of pace from waiting four hours for our last driver’s license. Looking for a good public school in New Orleans? 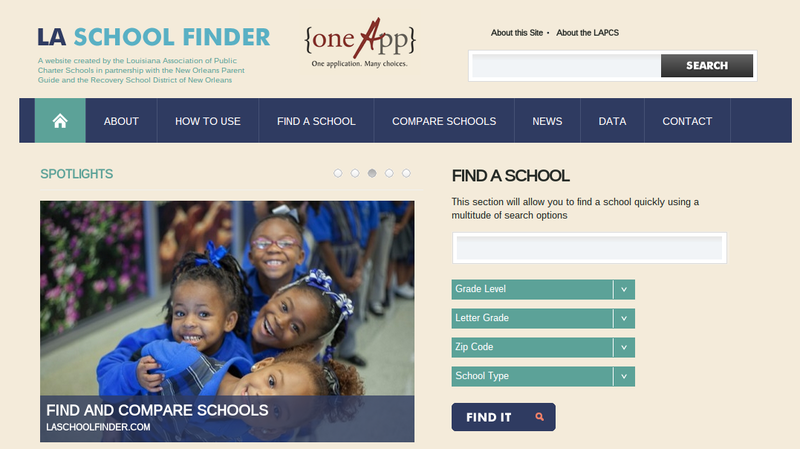 The Louisiana Association of Public Charter Schools has created LASchoolFinder.com to help you. On Twitter: @laschoolfinder. The site acts as a parent resource for all Orleans Parish public schools. You can search the site by school name, grade level or by proximity to your address. The site also includes the history of a school’s LEAP and school performance scores, ACT and end of course testing data, high school graduation and dropout rates, student stability, class size data and more. Remember: This website was put together by a pro-charter school organization. This site does not include any of the parochial (private) schools. 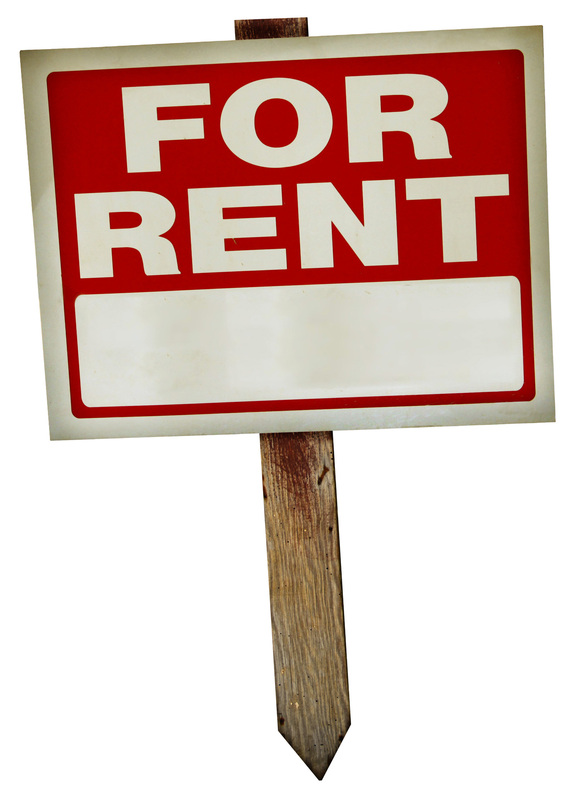 New Orleans real estate agent Jean-Paul Villere on Tuesday wrote a column about how to rent an apartment in New Orleans. It’s packed with good advice. 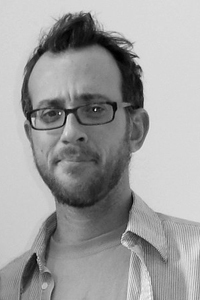 His column originally appeared on UptownMessenger.com, a hyperlocal news site for the Uptown neighborhood in New Orleans. The UptownMessenger.com folks were kind enough to let us repost the column. Looking for more resources about moving to New Orleans? Our previous advice. New Orleans has many good places to live. The first step is identifying which neighborhood appeals to you. Each one has its own character and flavor. There isn’t one neighborhood that’s “bad to live in.” Every neighborhood has good places and bad places in it. It’s important to find a neighborhood that has a place you can afford and amenities you desire. For some, that might mean a small studio in the French Quarter. 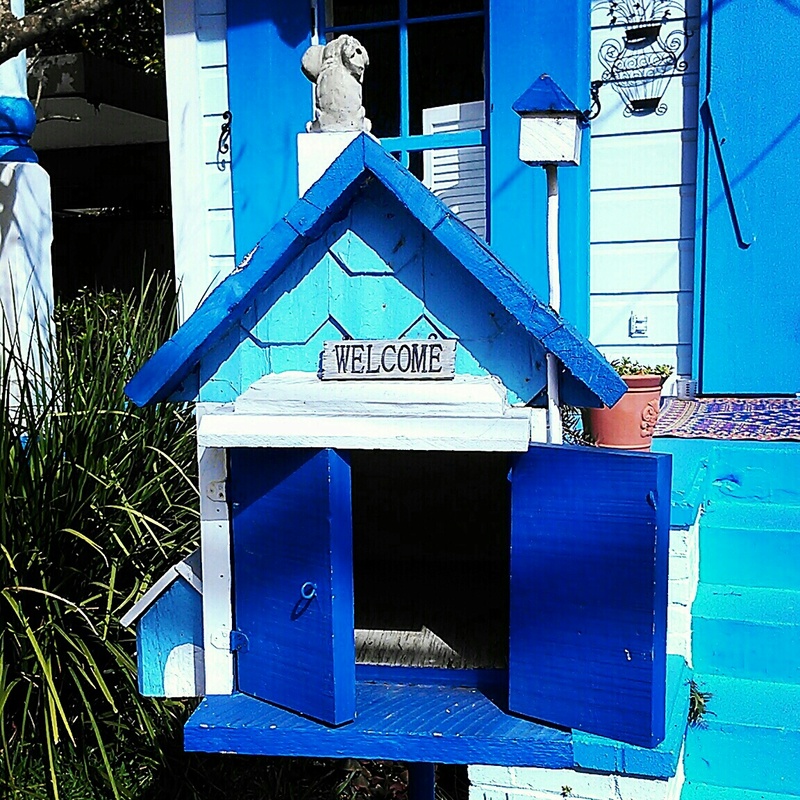 For others, that may mean a standalone home with a yard in Gentilly. If you have time, it’s important to drive and walk through your block BEFORE you get your apartment/house. The neighborhoods sometimes change dramatically by block by block. And don’t rely on Google Streetview. Our city is changing so rapidly that Google’s images are frequently outdated. 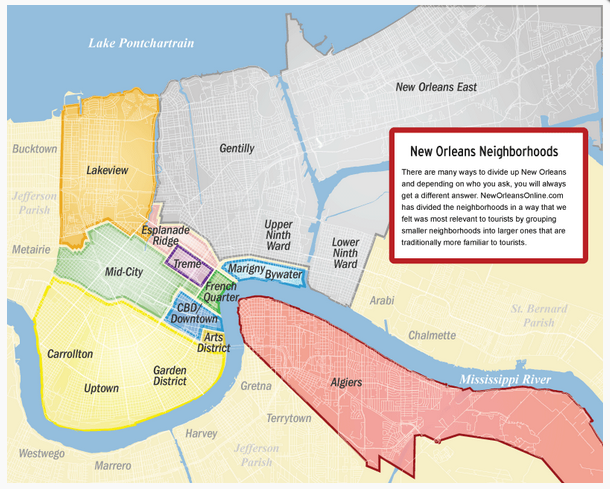 We love this neighborhood breakdown from ExperienceNewOrleans.com. It’s not an exhaustive list, but it helps get you started. And, click here for a simplified neighborhood map. 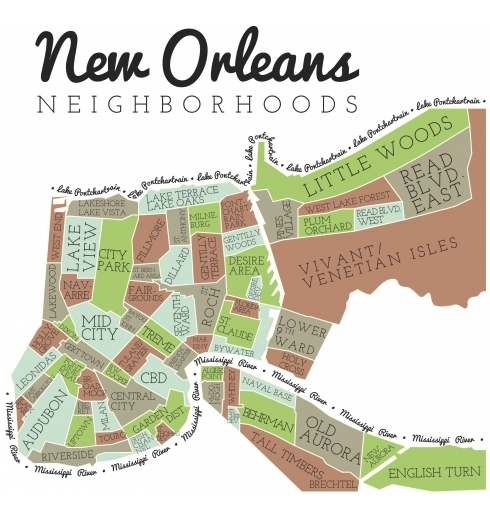 Once you’ve identified neighborhoods you’re interested in, check out our guide to finding an apartment in New Orleans. 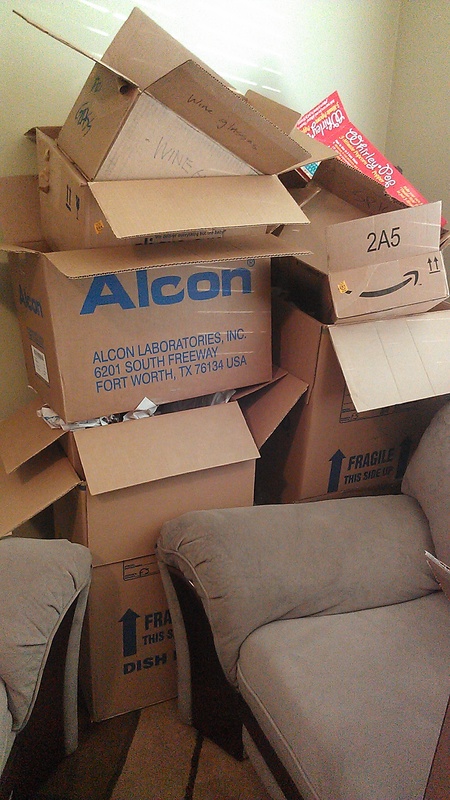 You’ve moved to New Orleans and now you have a bunch of cardboard boxes. Oh, what to do. Option 1: You could break them down and put them by the curb. But, why spend the time and alert everyone you are brand new? Option 2: You should break them down and recycle them. Better option for the environment, but you still have to spend the time breaking them down and hauling them out to the recycle bin. Option 3: Have a bonfire. Fun during the winter, but who really has the space for this? It’s been a busy week for us. 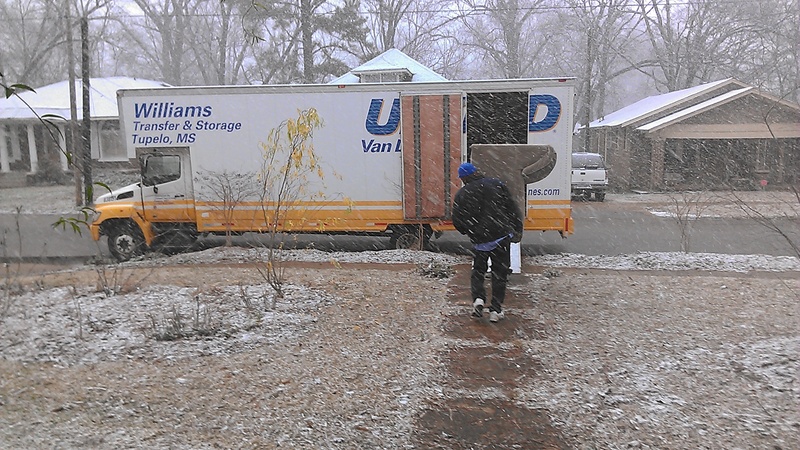 Movers from Williams Transfer in Tupelo came Thursday and loaded our stuff in Tupelo. BTW, it was snowing while they were loading. Brrrrr. The guys then made the trip to New Orleans and met us at the apartment at 8 a.m. Friday. Friday, it was nothing but blue skies and sunshine in New Orleans. Nice change. Word of advice to fellow newcomers: Make sure your moving truck has directions on roads that will accommodate a big truck. Our truck had to detour because of construction and the top of the truck pulled down a cable hanging overhead. Ruh roh. 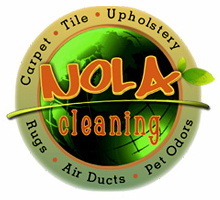 We were happy with the customer service and the cleaning skills of NOLA Carpet Cleaning (website). We researched companies on Yelp, Insider Pages and Google and then called and got quotes. For two bedrooms and a set of stairs, the going rate last week was about $120. Some companies charged an extra fee if they had to bring their own water because you didn’t have a hose outside. Looks like we aren’t the only ones on the move. @WSJ: Americans have begun moving again – job-related relocations at highest rate since before recession. The story is behind the paywall, but the numbers aren’t. Interesting figures related to how many people are moving to or leaving a region. The South crushed the other regions in terms of attracting new workers. Hunting for an apartment in New Orleans was harder than we thought. We’ve lived in aggressive apartment cities like New York, and we found NOLA in December 2012 to be on par with our NYC search experience. More renters than affordable apartments = frantic rush for a place to live. Be prepared to make a decision the day you see the apartment. If you wait, you may lose out. Do your research in advance so you’ll be able to make up your mind on the spot.